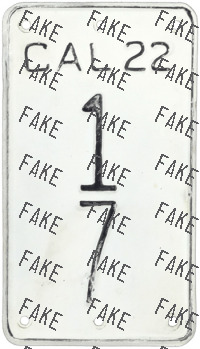 Flat leather slab with engraved characters. 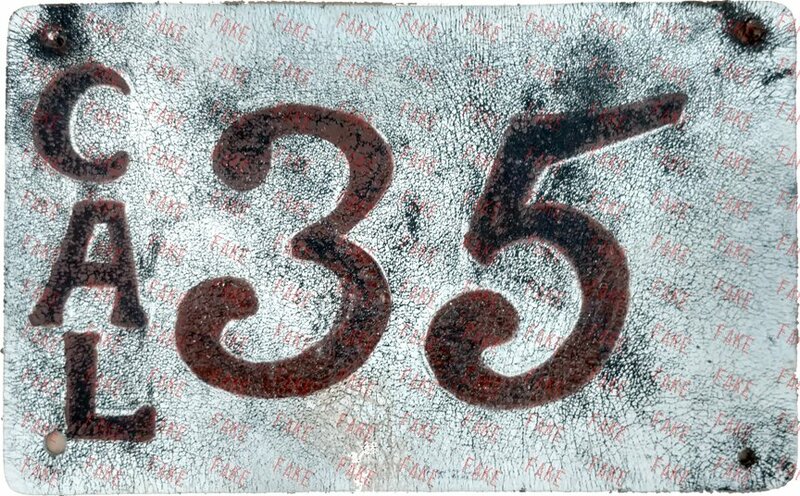 Flat metal characters affixed to wire mesh background. 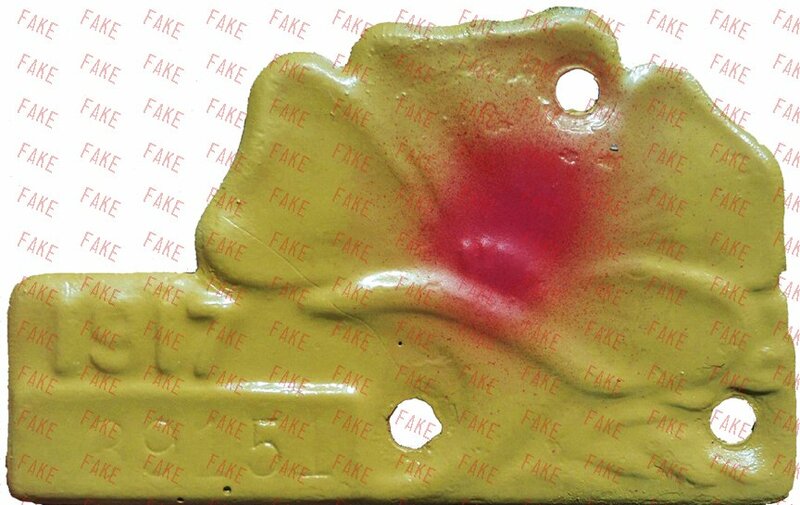 Thin metal with a polyurethane coating, resin date tabs. 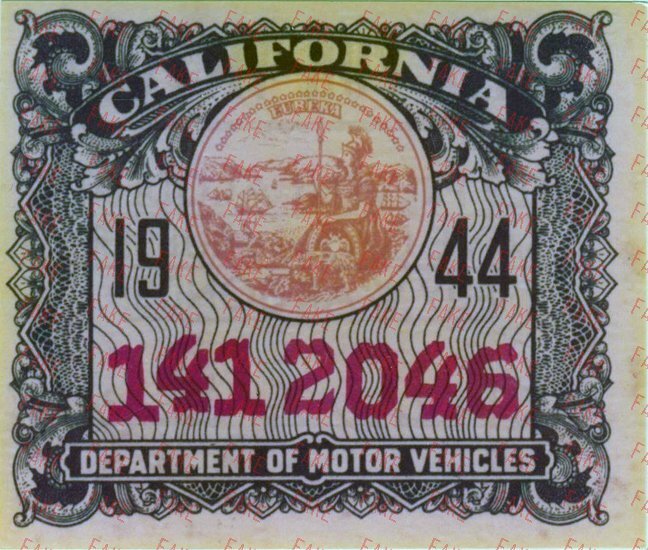 Embossed metal, no serial number. 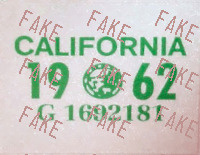 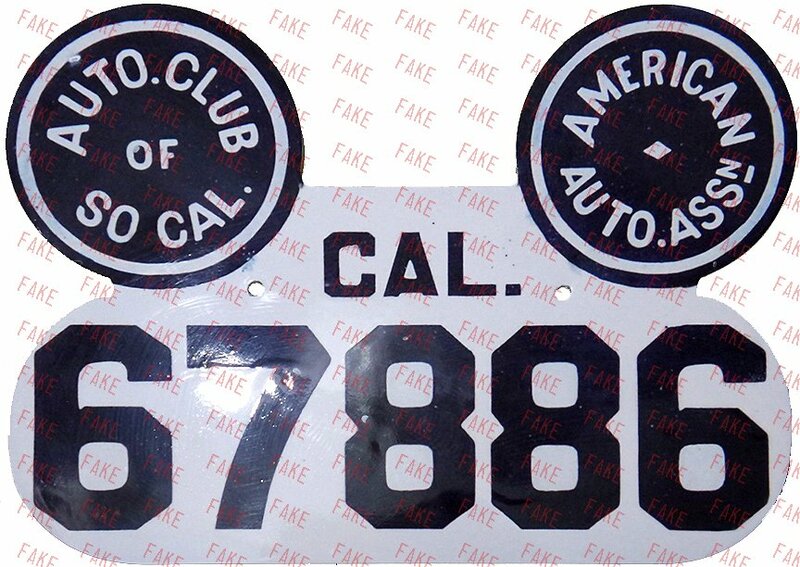 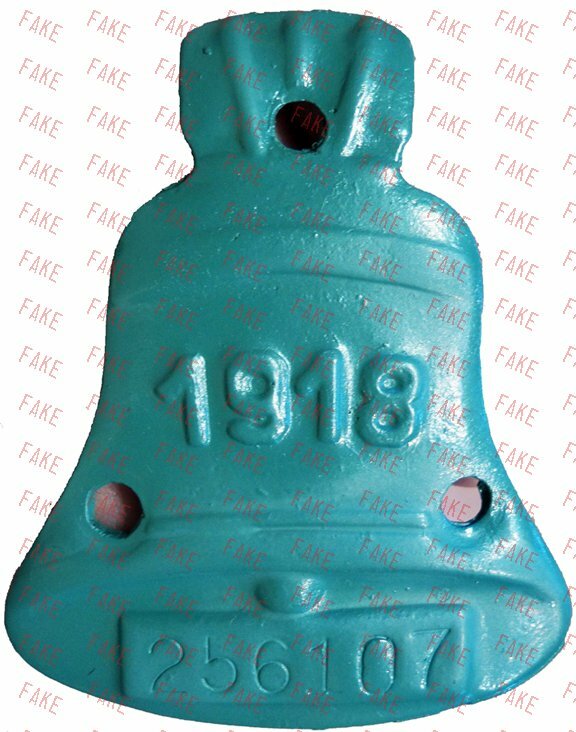 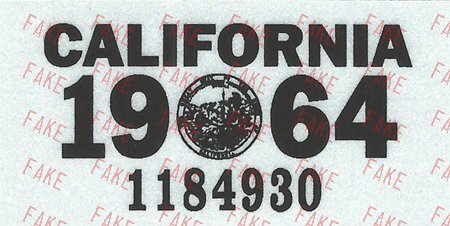 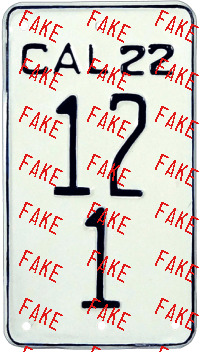 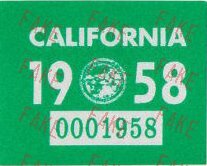 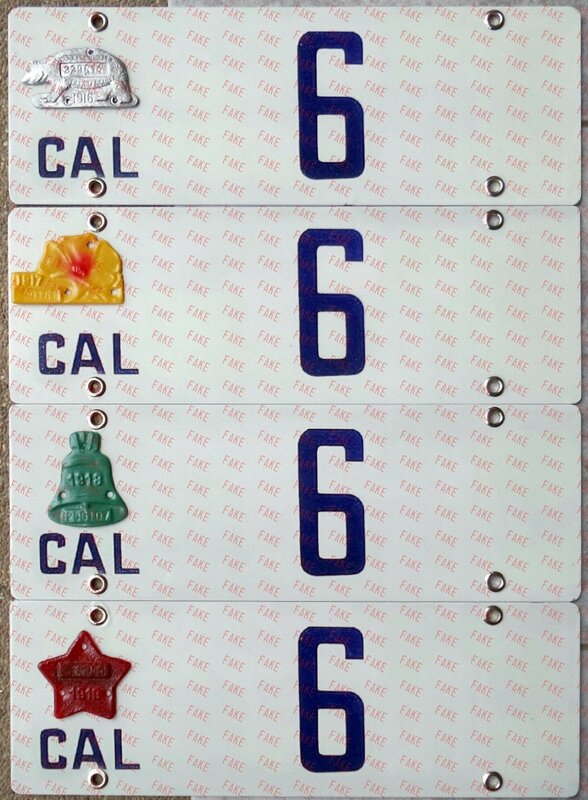 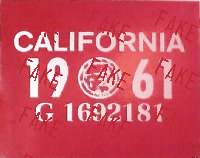 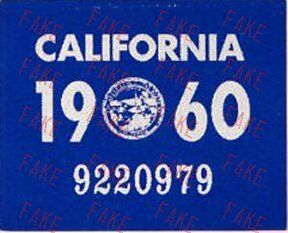 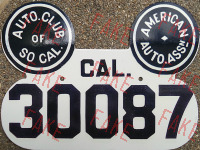 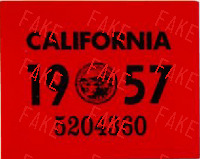 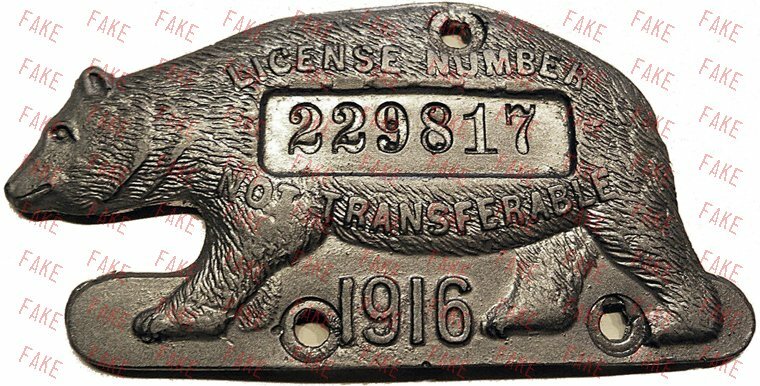 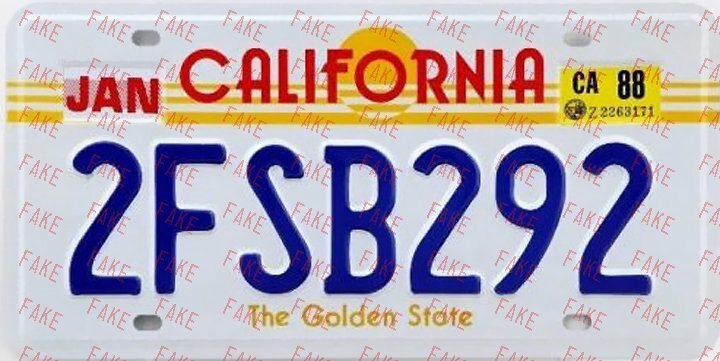 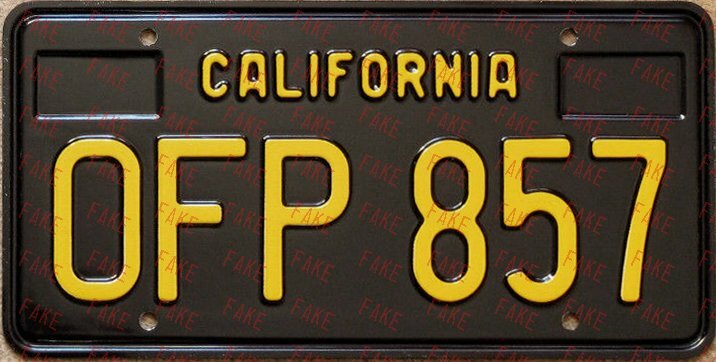 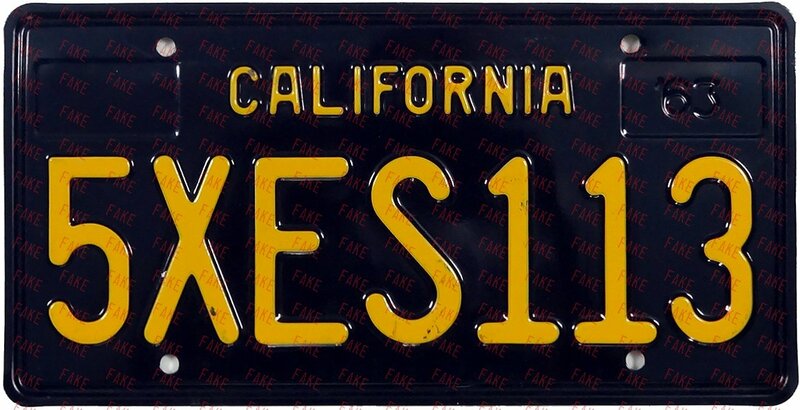 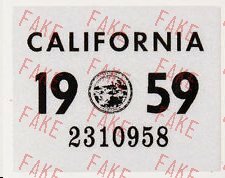 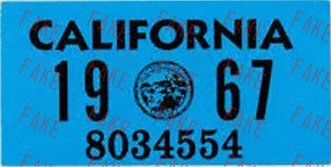 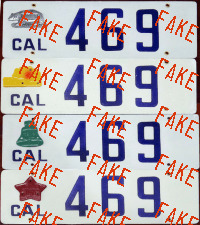 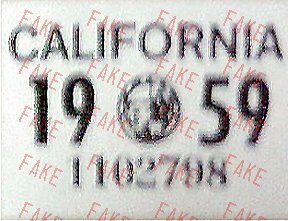 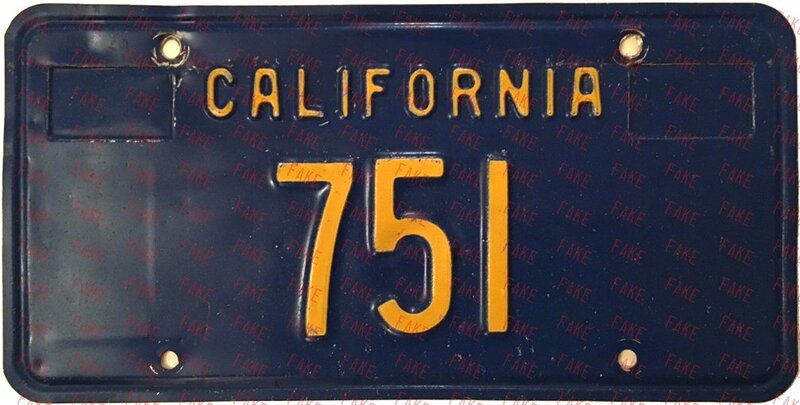 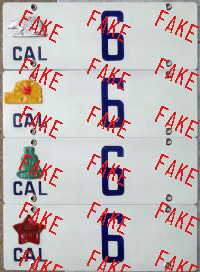 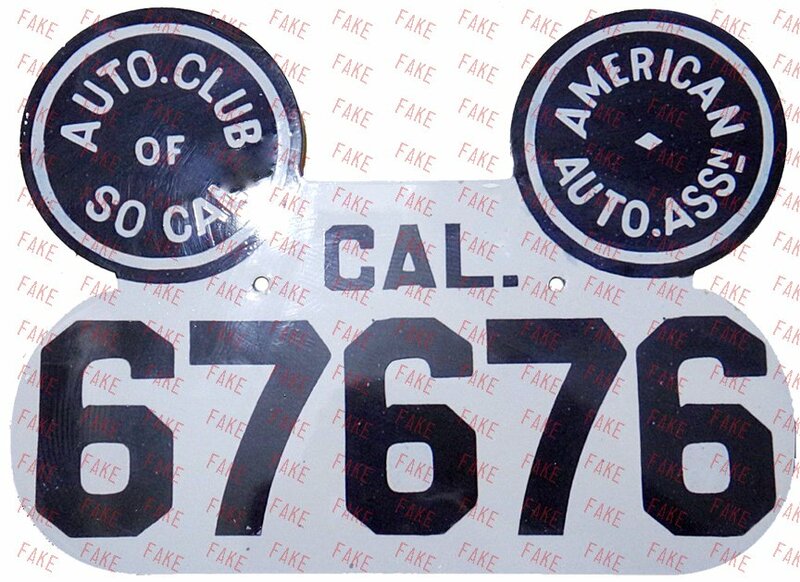 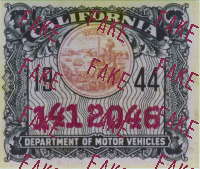 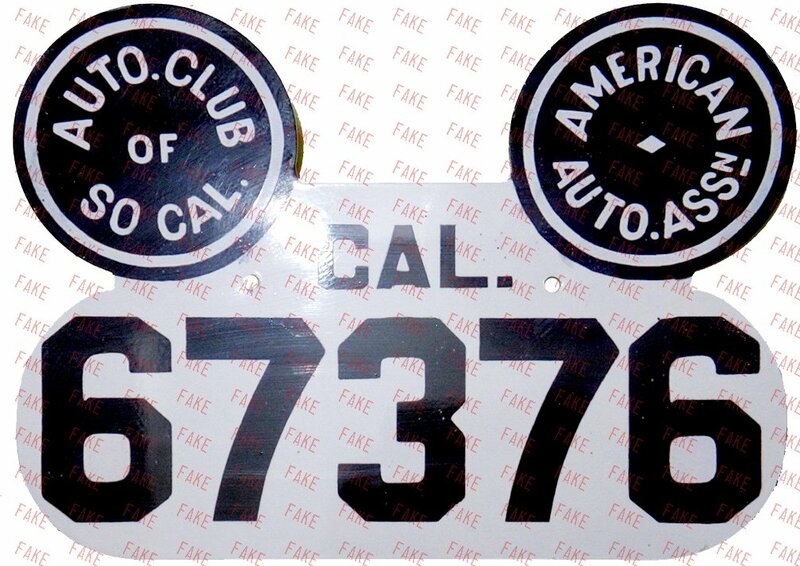 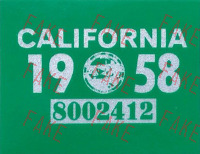 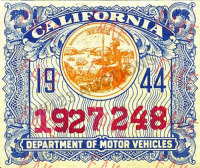 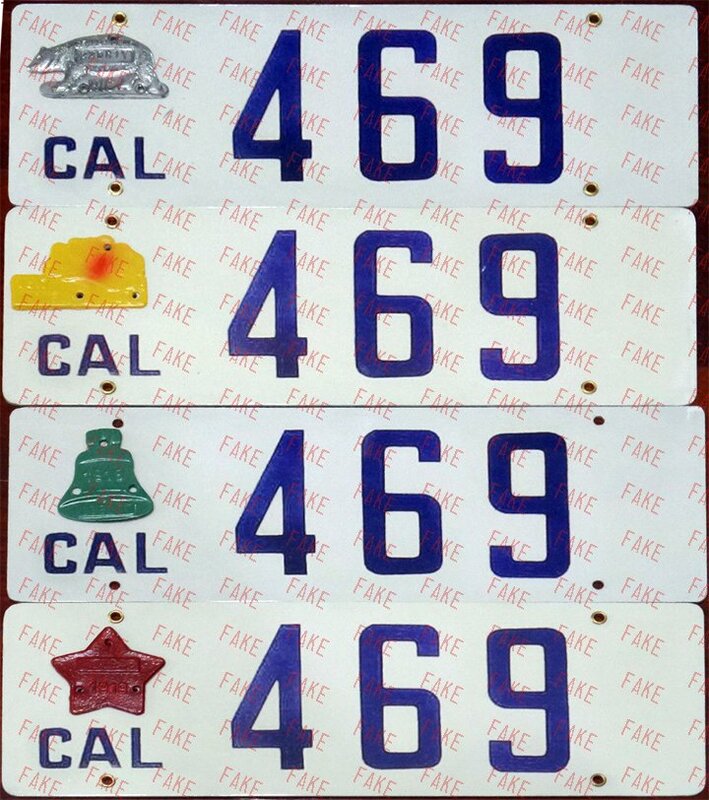 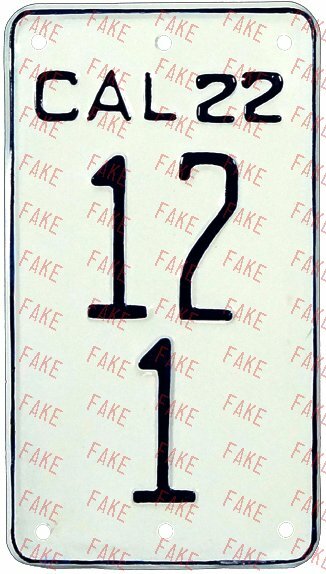 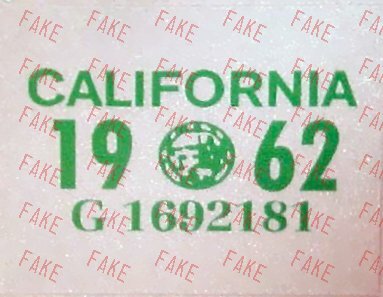 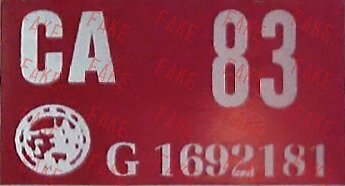 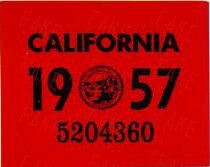 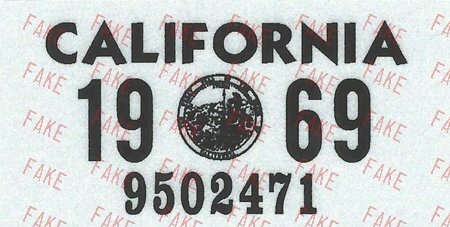 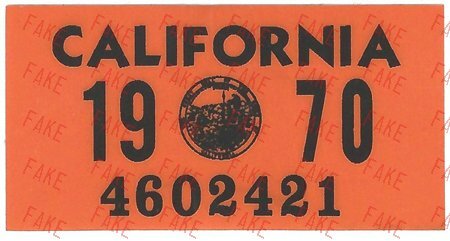 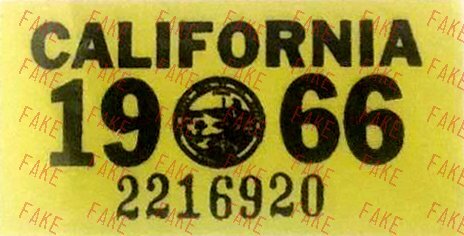 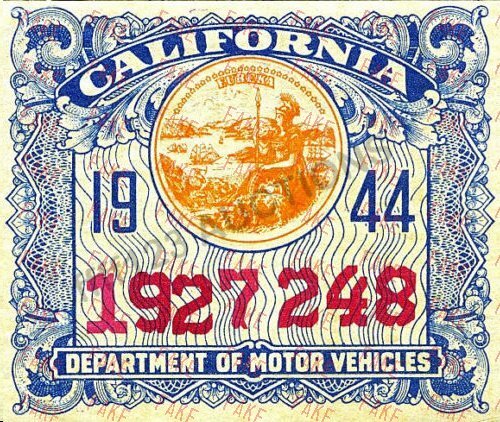 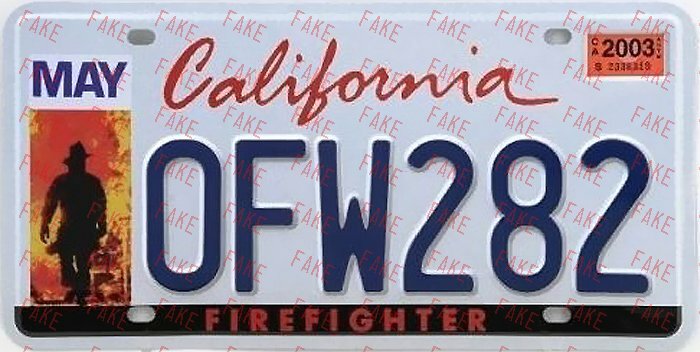 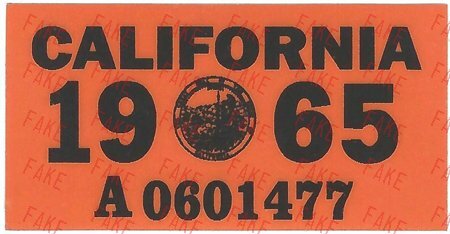 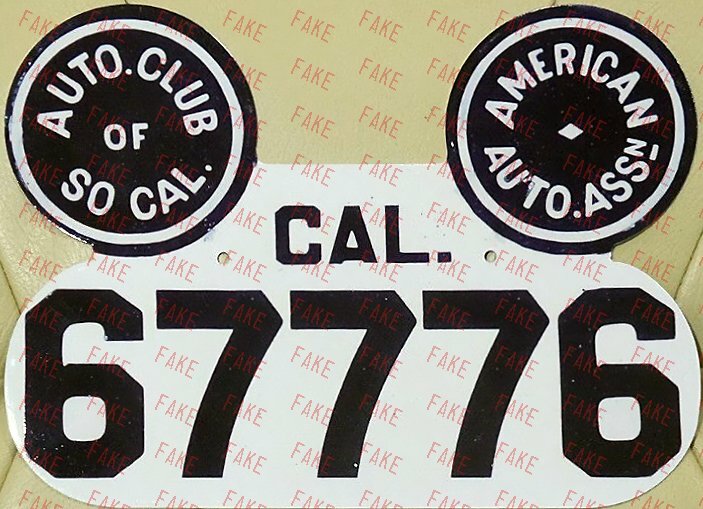 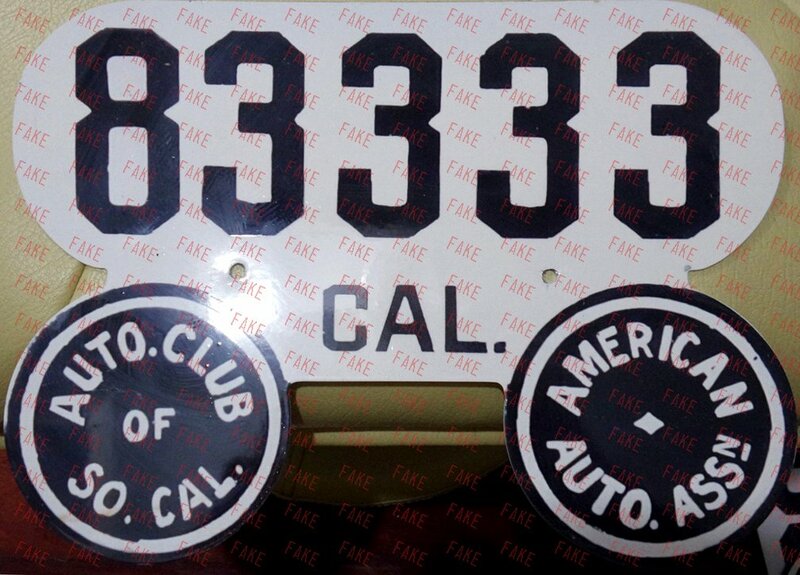 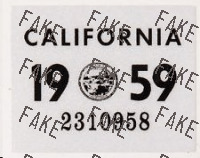 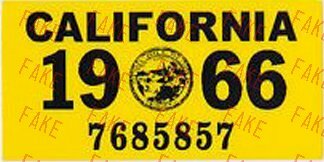 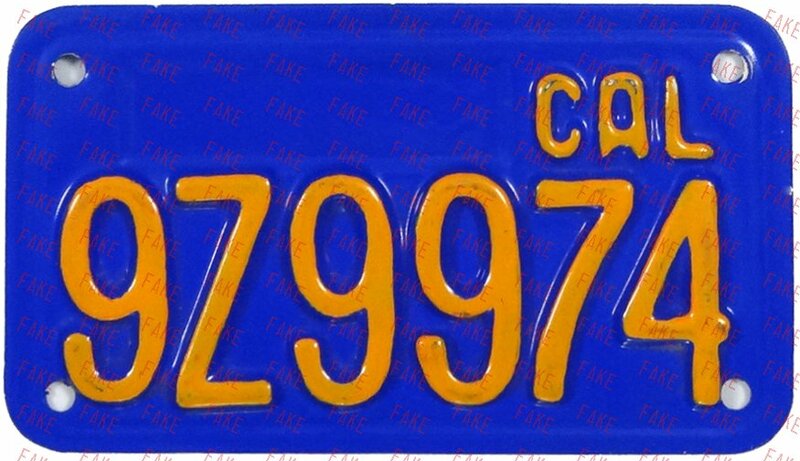 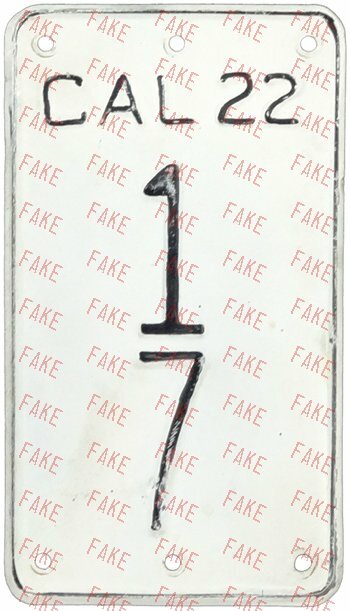 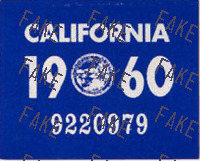 Although there was one pair of genuine plates issued with this number, all of these shallow embossed plates with any year sticker are forgeries. 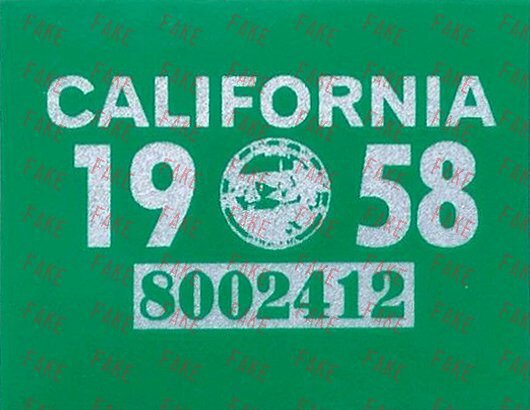 Soft embossing, raised border, no sticker boxes. 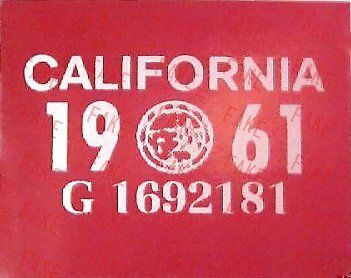 Back of sticker and bag indicate DMV instructions for placement on plate. 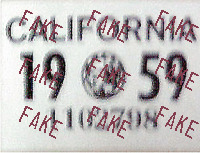 Thin aluminum with faux date sticker screened on the plate.